Happy Friday, Everyone! 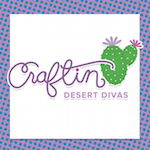 Saundra here to share a little Craftin Desert Divas inspiration. 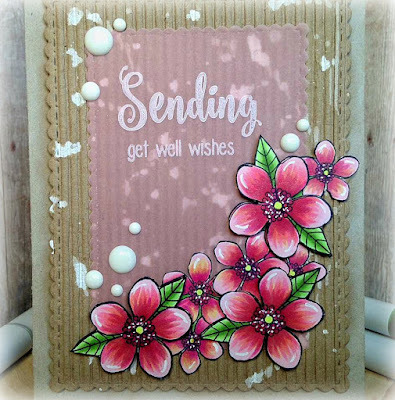 The last release was filled with beautiful flowers and I wanted to make one more project using them. I colored the beautiful flowers from CDD Flowers In Bloom stamps with Copic markers. I did a lot of masking to get them arranged how I wanted them. I stamped a few extra and popped them up with some foam tape. I added these to my background that had been cut with CDD Fancy Frames Dies. I used a piece of corrugated kraft paper and splattered it with some Mister Huey's Color Mist. 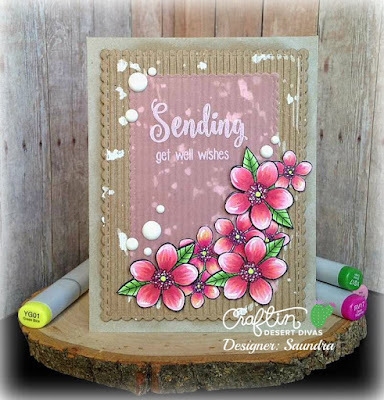 My sentiment is from CDD Wishful Thoughts stamps and stamped on vellum. This is a fabulous set of sentiments! I added a few enamel dots to finish off the card. 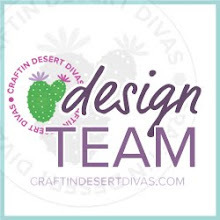 I hope I gave you a few ideas and inspired to create with your CDD products. This is super pretty! Thanks for sharing! The background rocks - love it!! Super cute card! !